What’s Actually in the Neighborhood of the Arts? It all began when the University of Rochester moved from its Prince Street campus to the River Campus to separate the sexes. The women educated here moved to the River Campus, also, in 1955, due to the expense of running two separate campuses. The Prince Street buildings were sold, but the Memorial Art Gallery remained. The area declined, but in the 1980s the Village Gate revitalized the whole area. Suddenly, it was chic, with public art and sidewalk sculptures giving the place a cachet it had never had. What could be more smile-worthy than a polar bear decked out in golfing duds and contemplating his swing? You’ll find the sculpture at St. Ann’s. Horses on Parade was the brainchild of Dixon Schwabl by way of The Big Parade. The event was a huge success, with the steeds being bought by private citizens to be displayed on lawns throughout the county. Many businesses still have them outside their stores. At 150 Canal View Park stands a scrap metal dinosaur with a butterfly in its mouth. It’s called Dragonslayer and was made by Jim Gary, famous for his dinosaur sculptures. The Liberty Pole is a Rochester landmark. Found at the corners of East Main and East Avenue, it’s the third such pole. The first two were destroyed by weather and old age. This one is steel and lighted every year at Christmas. If you ever wanted to know what it was like to stand inside Stonehenge, sit inside the Seat of Forgetting and Remembering. You’ll find it in the Lower Falls. It was made by Adrianna ippel Slutzky, a teacher at the Rochester School for the Deaf. What does 50 centuries of world art look like? What kind of masterworks will you see? Is it just paintings and sculpture? It’s over 11,000 objects from Eastern antiquities to masterworks by Cezanne, Monet and El Greco, among others. Maud Humphrey’s Woman in Red is included (Humphrey Bogart, her son, donated sketches as well). Immigrant arts and crafts have a section, too. The gallery is made up of four buildings: the main gallery, the Cutler Union (formerly the women’s student union building of the college), the 1968 addition and the Vanden Brul pavilion. Their mission is to make art into the sidewalks, park benches, light poles, and anywhere art can be placed for public enjoyment. 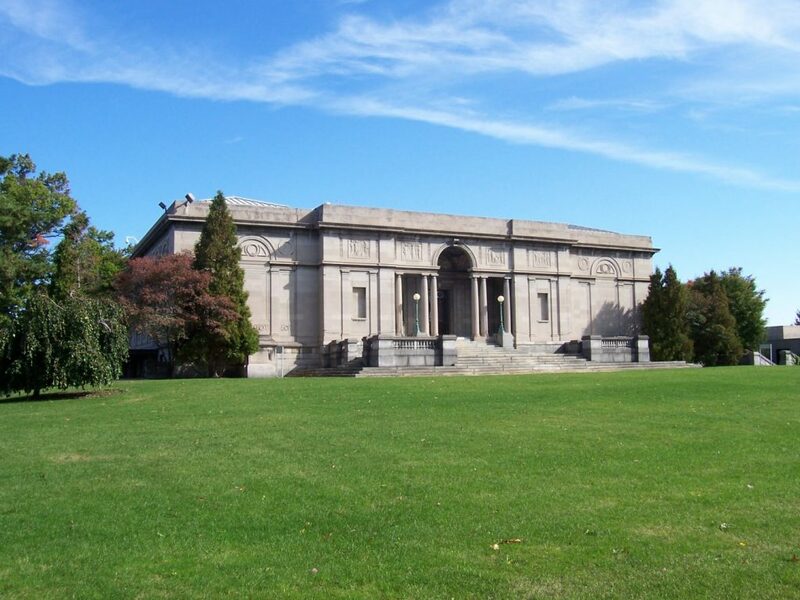 Their path leads from the Memorial Art Gallery to the George Eastman House and throughout the Neighborhood of the Arts. It’s an art gallery with no roof or walls, no boundaries and it comes from artists, businesses donating their artistic works and from schools and art classes. It is, after all, called the Neighborhood of the Arts. There are many enjoyable and notable things to do and see in the NOTA area of Rochester. There are many University Ave Apartments that make enjoying this historic neighborhood even more enjoyable and we strongly advise that you check them out.